Description: Mickey Mouse in The Lost Treasure of the Maroon is another very cute and challenging find your way type puzzle game from Disney. 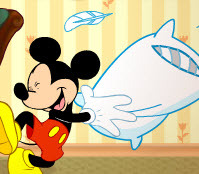 In this game, you try to help Mickey reach the Lost Treasure of Maroon. But make sure he doesn't hurt himself! You can activate some objects by clicking on them. Some objects must be dragged and dropped. Good luck and have fun! 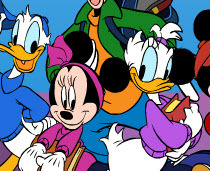 Test your coloring skills by giving wonderful colors to your favorite cartoon couples Daisy and Donald Duck.